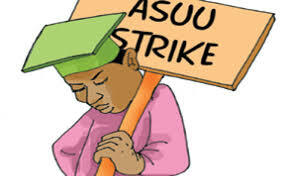 The Federal Government has reportedly reached an agreement with the leaders of the Academic Staff Union of Universities (ASUU) in a meeting between both parties yesterday. Speaking to journalists after the meeting, ASUU National President, Prof Biodun Ogunyemi said union’s National Executive Committee (NEC) will review its decision based on the Federal Government commitment. According to reports, Ogunyemi said the strike could only be cancelled after the NEC meeting. He however gave no date for the meeting. ”In view of this, the government has promised to reach us as soon as possible with a written proposal on those areas we need further consultations. And when we receive that, we shall treat accordingly and get back to the appropriate quarters,” Ogunyemi said. Will Pep Guardiola Start Gabriel Jesus?